Thanks to awesome blog readers Isi and cameliadb, I got a tip that the Burda movie would be available on the German public TV site for streaming. And thanks to cleaver people on Instagram, I got a tip that if you turn on closed captioning (it is the “UT” button in German) in a browser … More Burda Movie Update – Watch it Now! 13 Comments Burda Movie Update – Watch it Now! Spring Sew Geeky Plans and Jumping into a Contest! 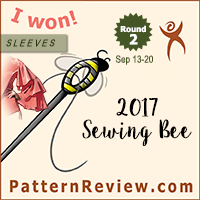 So, in my original plans for my year-long Sew Geeky challenge, I wasn’t going to start my spring sewing until February 21. However, since I’ve been sick the past week, I spent a lot of time playing around with sewing plans for my year long challenge: creating mood boards on Pinterest, choosing colors, and picking … More Spring Sew Geeky Plans and Jumping into a Contest! 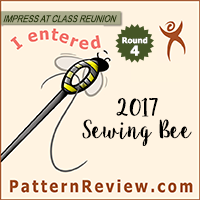 16 Comments Spring Sew Geeky Plans and Jumping into a Contest! It seems to me that there are either many more sewing-themed films and TV shows lately, or, at least more access to them. I’ve been watching a lot of these shows, in part because I have way too many streaming subscription services, but mostly because I’m a sewing nerd. Thought I’d share all of the … More Sewing As Genre? 24 Comments Sewing As Genre?